The distillery was originally known as the Mt. Bentick Distillery as it was started close to the Mt. Bentick Sugar Mill in the early 1900s, which provided molasses for the rum distillation. It wasn't until 1963 when the government acquired the distillery and changed the name to St. Vincent Distillers Limited (S.V.D.L.) as it is known today. Unfortunately at this time, the sugar cane crops were replaced with bananas thus forcing the sugar mill to cease operations and the distillery to source molasses elsewhere. In the late 70s the bananas were converted back to sugar cane in hopes of reviving the sugar industry and providing cheaper molasses domestically. The sugar mill was also refurbished with brand new equipment from Trinidad, and the distillery also acquired John Dore stills from England. The first rum was produced in 1985 and in a turn of unfortunate events the sugar cane was once more turned into bananas, again forcing the distillery to import molasses from Guyana (Demerara Distillers), which they continue to do to this day. Fast forwarding to 1996 the government decided to privatise the distillery and sold it to C.K. Greaves & Co. Ltd, a local family owned supermarket chain on St. Vincent. 24 years prior to the privatisation, the son of the owner and his wife had migrated to Australia but decided to return to St. Vincent to take over the business and give the distillery a major overhaul. Their son, Adrian Greaves still lives in Australia, importing the products. The distillery itself is quite new and modern, having acquired their own bottling line and new vats in the last overhaul. The imported molasses are fermented for around 36 hours, and there are 10 fermenting vats in total. Both the vats and the twin column John Dore stills work by steam injection, which is produced by a diesel boiler as there is no bagasse to burn due to the lack of local sugar industry. 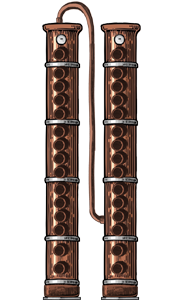 The first John Dore column distils to 75% and the redistillation in the second column produces a distillate at 89% ABV. One product made at St. Vincent Distillers is the straight out of the still Sunset Very Strong Rum at 84.5%, which is pretty much only drank by the locals but some seem to be exported to the UK. For other products the distillate is diluted to a low 54% before barrelling, while most distilleries age their rum at 75%. The downside of diluting to a low level is the need for more barrels and warehouse space, increasing the overall cost. 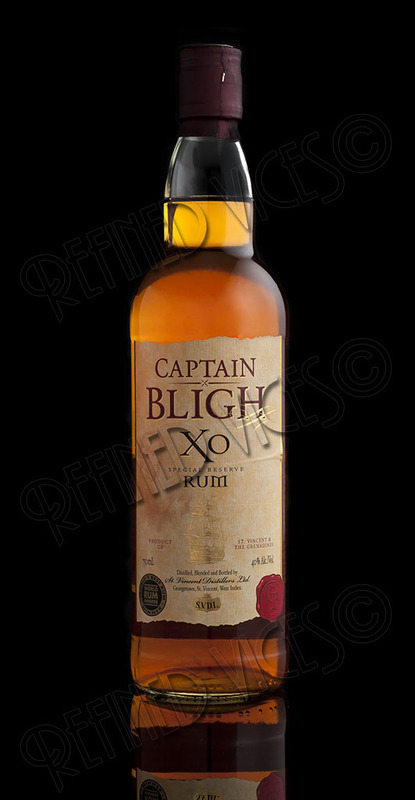 Captain Bligh XO is aged between 8 and 12 years in 170 litre ex-Bourbon casks and bottled at 40% ABV. The rum receives its name from the unfortunately fated Captain William Bligh, who is best remembered for the historic mutiny during his command of HMS Bounty in 1789. He was also the governor of he state of New South Wales in Australia with orders to clean up the corrupt rum trade but his actions resulted in the legendary Rum Rebellion of 1808. The bottle of Captain Bligh XO is simple but nicely presented with a nice label and font and it comes in a maroon box with a similar design. The only other thing I can say about the bottle is the screw top that is not the best. The soft metal gets damaged quite easily and the threads wore out in the cap after opening and closing it just a couple of times, so I had to replace it with a cork from another bottle. 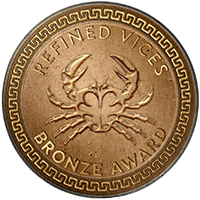 The rum is a brilliant, sparkling gold colour and has a low viscosity with thin, quick and runny tears. The nose begins with a creamy soft vanilla and Bourbon notes, hints of honey and leather with a tiny alcoholic tingle. Although not immediately obvious, carefully nosing the glass reveal miniscule amounts of mature bananas and baked apple with a bit of mint. Very soft and mellow, rich in caramel with a good sweetness followed by some mild oak and chocolate flavours with some coffee. Well rounded vanilla and cocoa flavours and ever so slight a floral note, leaves a pleasant and juicy sweetness lingering in the mouth for a while. Though it isn't the most complex or challenging of rums it is extremely well made, very pleasant, gentle and remarkably moreish. I could drink this rum any time of the day and be happy to come for one more glass of this simple, yet well rounded and delicious rum. Buy from The Whisky Exchange or Master of Malt.